2017 is expected to be a crazy year for the smartphone tech with a lot of form factor experiments from the leading brands . LG has already started the year with LG G6 with 18:9 aspect ratio which is a new concept in smartphone tech which could make future smartphones compact and more easy to carry around, but it seems this year things are getting even more extreme, when we hear the Samsung will launch its Galaxy X the fordable smartphone this year. 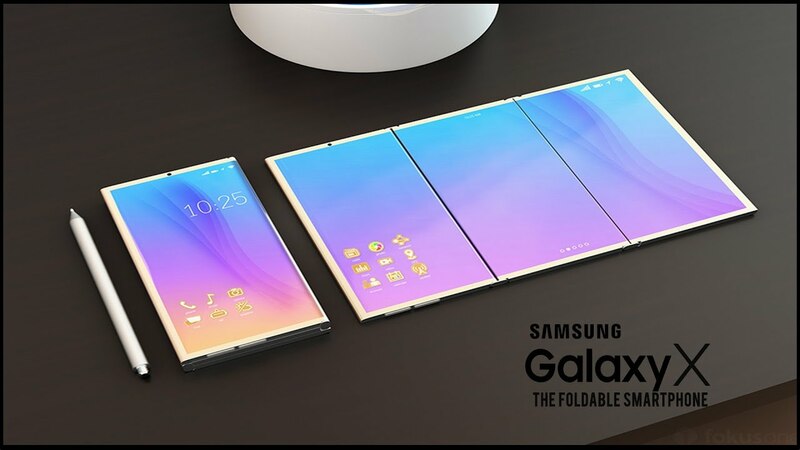 Started of as an experimental project code named as Project Valley Samsung was successful in making it into a real product which they call the Galaxy X.